I am delighted—and not a little relieved—to say that the third FORUM Yorkshire archaeological journal is now in press, the last under my editorship as I stand down from the Committee as Hon. Editor and Trustee this year. Publishing this volume, pertaining to the year 2014, in May of 2015 reflects the timing and nature of fieldwork in both the commercial and community sectors, where either post-excavation analyses are still underway or where the writing up of reports, even interim summaries, usually takes place over the winter season. I suspect that this will be the ongoing rhythm for future editions, even if it means missing the opportunity to distribute copies at the CBA Yorkshire Annual General Meeting and Symposium event early in each calendar year. Such are these pressures on time, it is also difficult to build up a pipeline of future papers without those also becoming dated. I am particularly pleased that we are able to present papers aligned to the Communities in Action theme which we introduced last year. The cover image attests to the fantastic planning, fieldwork—and fascinated results—achieved so far in the Swaledale Big Dig, by example. While we do not have any Behind the Scenes papers this year (unfortunately the one on OASIS did not materialise), there is still an opportunity for specialists—whether in archaeological, heritage or museum practices, and their allied sciences—to offer insights into the areas of the discipline that might not otherwise be well understood. Once again, I remain indebted to the authors for their time, enthusiasm and tolerance—both those whose papers appear in this volume and those who have promised papers for the next edition. Above all, I am grateful to the CBA Yorkshire Committee and Trustees for their wonderful support over these last three years. It has been a privilege for me, thank you. 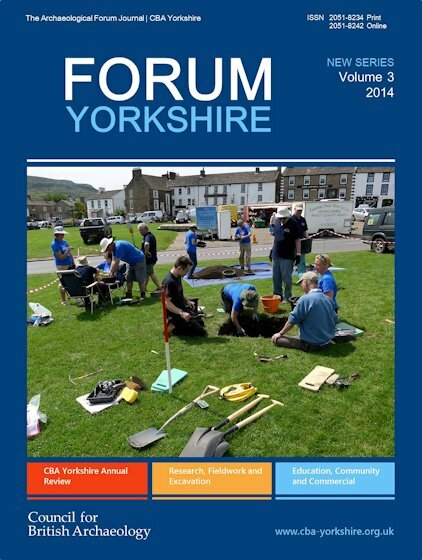 I will be working with the new editor on a smooth transition and to make last year’s FORUM Yorkshire Volume 2 available as free-to-download, fully open-access, on our website (PDF format and e-magazine style). Why not think about joining CBA Yorkshire, run entirely by volunteers, for the benefit of those interested in the welfare and better understanding of Yorkshire’s historic environment? 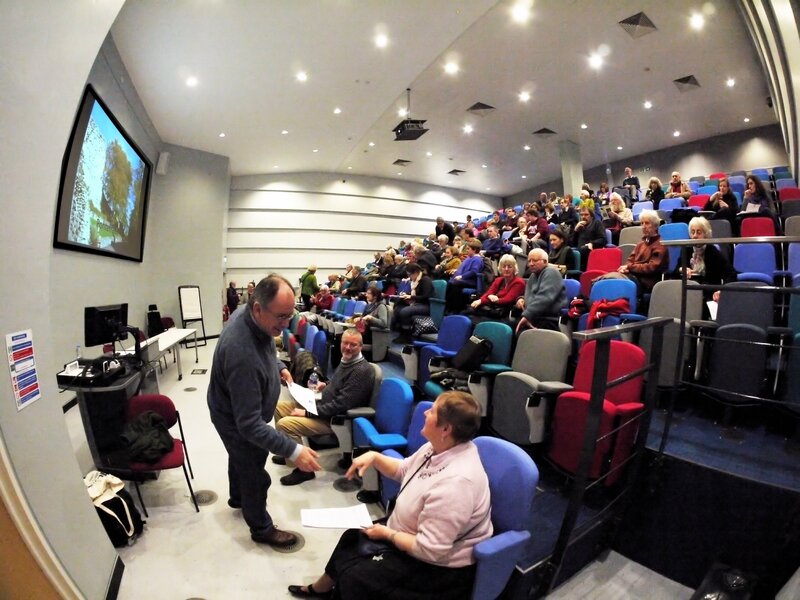 It aims to encourage and promote greater public knowledge and involvement, and where possible to advance and assist relevant research—ARCHAEOLOGY FOR ALL. There are also a number of positions available on the Committee, which meets in York four times each year. We are particularly looking for a Web & Social Media officer and Education officer, amongst other roles. Symposium image courtesy of Eric Houlder. This entry was posted in British archaeology, Education and tagged Archaeology, CBA Yorkshire, Commercial archaeology, Community archaeology, Council for British Archaeology, Yorkshire by Spencer Carter. Bookmark the permalink.